Twine It Up! 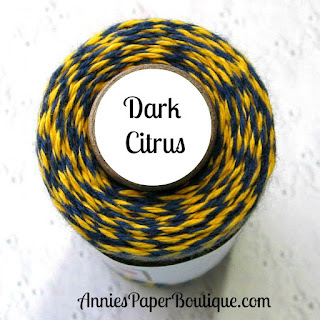 by Annie's Paper Boutique : Trendy Bakers Twine -- Have a Sunny Day! Hello! I'm Helen from HTB Creations. Today I have a sunny card to share with you. I used Dark Citrus Trendy Twine, the Smile Stamp Set, and some Lemon Tart Sequins. 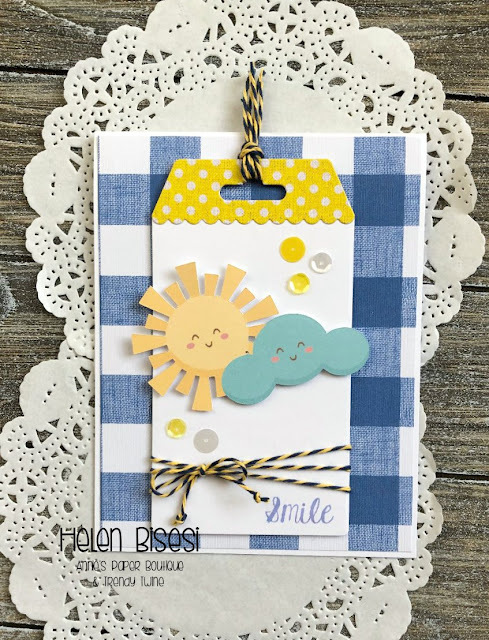 I found this cute sun and cloud image in my Cricut Design Space. 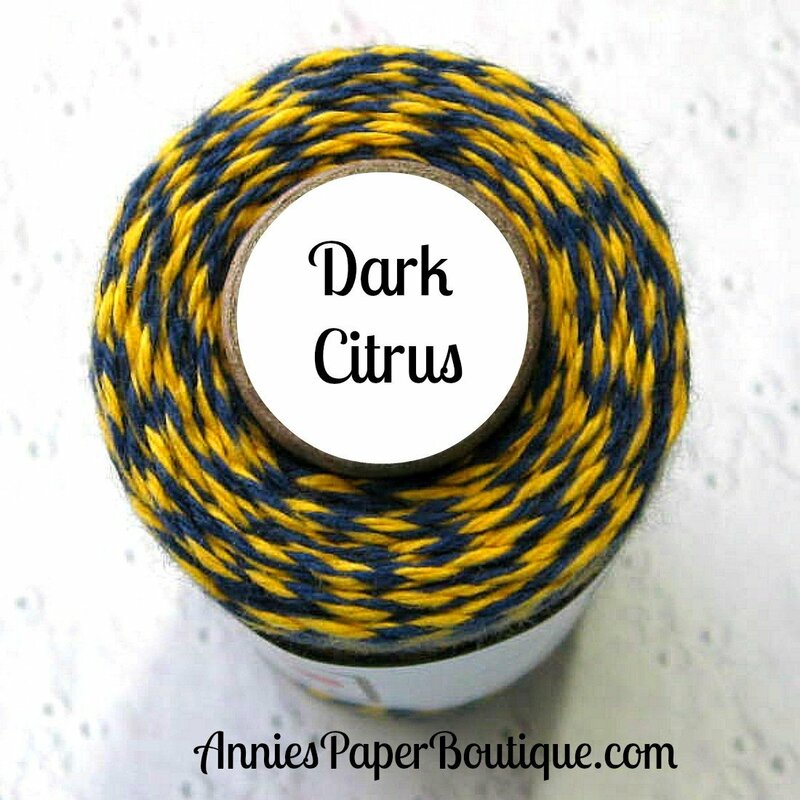 I know it would be perfect with my Dark Citrus Trendy Twine. Next I cut a tag shape with a die and made the topper a cute yellow to contrast with my blue and white paper. Then I stamped my sentiment from the Smile Stamp set on the bottom of the tag and wrapped my Twine around the bottom with a bow and added it to the top. I pop dotted my image to the tag and pop dotted the tag to the card base and added my sequins. Awww, what a cheery card! I love the smiles on the sun and cloud. That is simply darling! 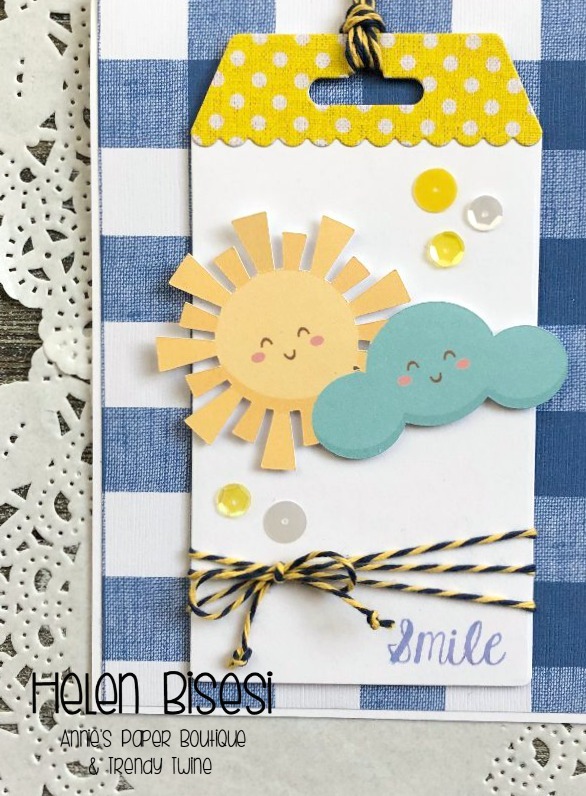 Love the happy faces on the sun & cloud! Such a fantastic card Helen. I just love your tag.